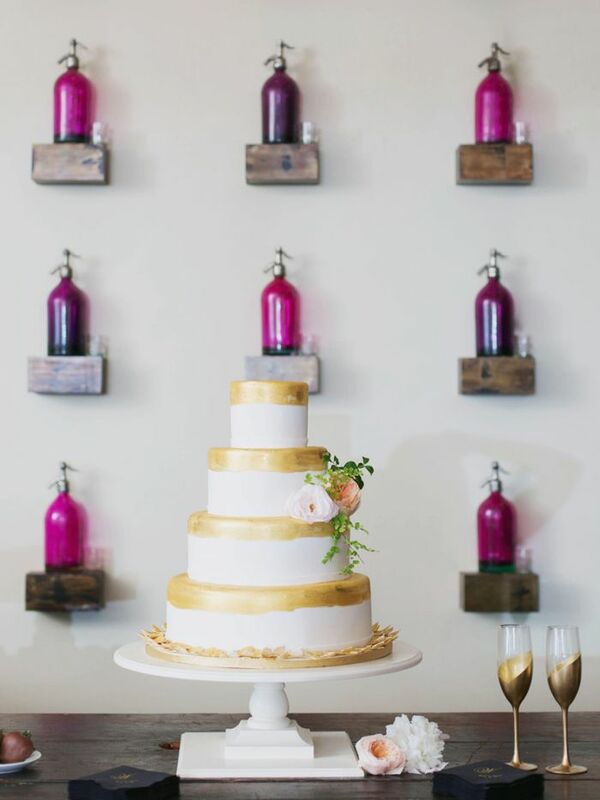 Carats & Cake is the premier online resource to hire local wedding vendors. Launched in 2013, the platform seamlessly marries curated content with real information providing engaged couples with the best the wedding industry has to offer, from florists to photographers. Whether your your prefer a look that's more classic and traditional or modern and trendy, one of these four stunning wedding dress trends will suit your style. Scroll down to check out the top trends all the coolest brides are wearing. Adding color to your wardrobe no longer just means your closet. Brides are taking this expression one step further and incorporating color into their special day all the way down to the dress. No shade is off limits, and no palette goes untouched when it comes to this playful look. From glamorous to lighthearted, this trend has been a wedding favorite for the quintessential bold and innovative bride. Earn your blushing bride title in more ways than one with this stunning light pink gown. Your guests will love seeing you walking down the aisle in this one-of-a-kind shade. Peach is a gorgeous color suited for all non-traditional brides. Expand your bridal horizons this season with an added touch of detail and whimsy, thanks to the beautiful enhancement from floral appliqués. Trumpet, A-line, mermaid, and ball gown—all these silhouettes work well with the trend. Whether incorporated into the body of a dress, or effortlessly cascading down the skirt, this look is one that is sure to continue to grow in the wedding world. 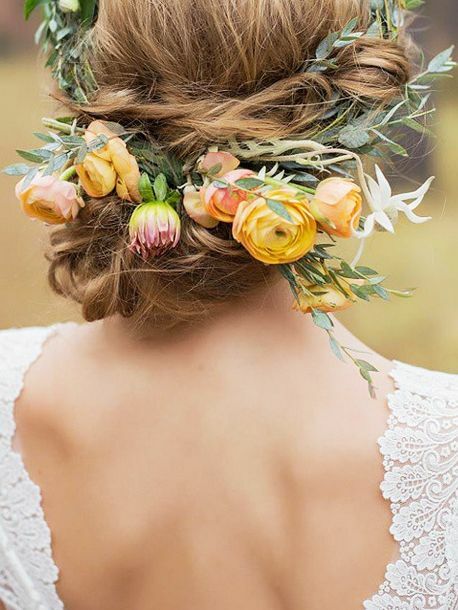 Your bouquet won’t be the only aspect of your wedding that is in full bloom thanks to this gorgeous look. Turn something borrowed into something appliquéd with this stunning take on floral accents. Form-fitting silhouettes give you an opportunity to utilize this blossoming trend throughout the entirety of your exquisite look. If traditional lace is your choice but warmer weather is in your forecast, then this fresh and much lighter take on lace will freshen up your look while keeping it classic. Brides are no longer leaving lace for the colder winter temperatures, and instead are finding alternative ways to add sophistication to spring. High necklines, long sleeves, and intricate shawls are just a few ways that brides are incorporating elegant lace into their dream dress. Chic is an understatement with this timeless button-up lace back. A sheer illusion neckline gives a fresh take to this lightened lace spring trend. This intricate lace cutout back is perfect for all sophisticated and modern brides. When it comes to searching for the perfect dress, sometimes exploring a category of unstructured proportions is the way to go. Jenny Packham is an expert when it comes to this stress-free, sophisticated look that often incorporates exquisite beading and a flowing but stil impeccable fit. Whether it’s resting on the hanger, or seamlessly draped on you, this trend is sure to catch everyone's eye. If effortlessly chic is your style, then this unstructured fit is your perfect match. A simple string back flawlessly complements this refined, carefree style. What other wedding stories would you like to see on Who What Wear? Let us know in the comments below!